Can saying “no” help you grow and prosper? I said yes to clients when I wanted to say “no” and “yes” to collaborations, committees and constant availability by phone and email when I wanted and very much needed rest. I’m not saying that we shouldn’t assist others but, saying “Yes” to another request when our plates are already full is detrimental to our growth in many ways. 1. Taking on too much causes stress. When we have too many tasks, projects and obligations we create more stress for ourselves. We make big long lists of what we need to accomplish that practically scream, “No rest for you until you do A, B and C…” While of course the list isn’t literally screaming – the knowledge that we have so many more tasks to go before we can breathe that sigh of relief, increases our stress levels. 2. Depletion. When we add stress by adding responsibilities to our already overburdened lives we deplete our own reserves of energy. Doing constantly without allowing for time to recharge our batteries can weaken our immune system. A weakened immune system can lead to many serious ailments. 3.When the going gets tough the tough get going. We think pushing ourselves for long periods without stopping shows how strong or “tough” we are when what it really shows is that we believe our own needs are not as important as pleasing others. People pleasing points to underlying lack of self-esteem. We fear saying “no” because we believe the people we say it to will stop liking or loving us. 4. Something has to give. When we are on overload juggling ten different things at once we cannot possibly sustain this level of activity for very long before something – gives. Usually that “something” is the result of a critical detail that slipped through the cracks because we were trying to do too many things and be all things to all people. Many people have the misguided belief that multi-tasking makes them more efficient when in fact, it has the opposite effect. Multi-tasking means that you are not focused on what you’re doing. Your concentration is fractured and spread out over numerous tasks. Studies have shown that multi-taskers are not more efficient than people who focus on one task at a time. 5. Fear of missing out. Saying “yes” when we ought to say “no” means that we fear that if we say no we will “miss out” on something. We believe we or the life we are leading is “not enough.” We give our power away to others who we falsely believe “know better” than we do or that their project might offer more opportunity, glamor or exposure. We may also be afraid of what people will say about us if we say no – which leads back to people pleasing. As a 100 percent commissioned sales person I was addicted to control. I never turned off my cellphone. Having it on 24/7 was immensely draining. When it rang in the evening or on weekends I felt my blood pressure rise. I wanted to serve – to be of help but, I also needed rest. The fact that I was on commission though, meant that if I missed a call I was also potentially missing out on a commission. The result was that I took only 4 vacations in 14 years and had my phone and laptop with me for two of them! This internal conflict between the need to “be there” in order to make a living versus the need for rest and rejuvenation is based on fear and a belief that if we “stop” for even a moment everything will come crashing down. I had this belief and fear based mind-set and because of it couldn’t and “wouldn’t” get off of that treadmill until I was forced to. It was painful at the time but, I’m now very happy with the way things turned out. Honor and respect your needs. Saying “no” shows that you have the self-esteem and self assurance to turn things down without fear that you are “missing out.” You are able to prioritize and see which tasks will bring you the most benefit and throw yourself passionately into doing those few things. When you apply your focus to a couple of projects rather than a dozen your energy levels are concentrated and far more powerful. Therefore you accomplish more, more quickly and with better results. Rest to bring out your best. When you schedule time for rest and relaxation, what you are saying is that you believe that all will be well and that you are not afraid to give up the need to be in control for a while. This is scary for many people. We think we have to do it all ourselves or it won’t get done. The need for control is really based on insecurity and fear. Fear blocks growth and prosperity. The spiritual reason why you prosper when you say “no” and is because saying “no” means you are not operating out of fear. When we operate out of fear it is because we lack faith. We lack faith not only in ourselves but, in the magnificence of the Universe to always work things out. Confidence is magnetic. When we can walk away knowing that everything will not fall apart nor will we lose out, our confidence sends out a signal that creates the very things we desire. Walking away from the computer, phone or setting limits on work and “handing over the reins” to the Universe is the secret ingredient in prosperity. Sets things in motion. Saying “no” when we want to say “no” also quickens our prosperity because we are in alignment with our own needs and desires. There is no discord between what we do and what we want. When we ignore our own needs out of fear and resent what we have agreed to do we know at an intuitive level that we are not in alignment with our soul’s purpose. We feel sluggish, unenthusiastic, annoyed, irritable and disinterested. Learning that you can let go and say “no” shows that you have grown in confidence, self-esteem and wisdom. When our actions are aligned with our soul’s desire our energy goes through the roof! We are happy and confident and prosperous. Do you say “no” when you want to say “no?” What areas do you need to work on? Saying “no” to family, friends, employers? P.S. 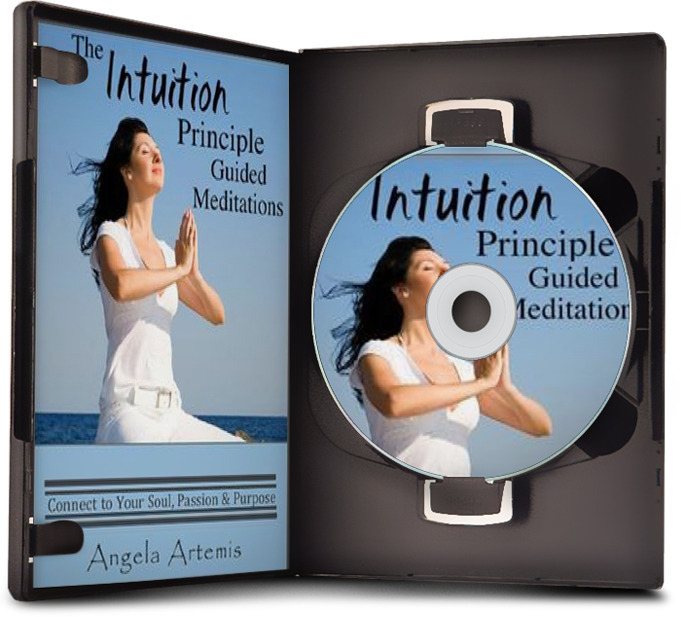 To learn to hear your intuition check out these books on Amazon including a free one to Amazon Prime members! We only have 24 hrs/day. But if we fill all our spare time with to many yeses, we’ll never have the time to sit down at the desk of our own lives to write out the next chapter, the chapter we want written, pursuing the goals that provide our lives with meaning and passion and purpose. This was a great article, Angela. Thanks for sharing your insight! So true…..we can only do so much, right? It’s definitely more important to focus on what brings you the most meaning and enjoyment in life. I find it hard to say no. It used to be worse when I have no idea what my vision, values or priorities were. I am much better now, even though a friend recently pointed out to me that I need to learn to be more assertive. He meant well in the advice because I would otherwise be drained from saying yes to everyone. I also found that I needed to let go of the idea of “missed opportunities” if I said no. The Universe always provides. Good opportunities that come will not require me to undergo that much struggle to the point of exhaustion. Great post! I certainly need to be reminded LOL! I love what you say about “missed opportunities.” Your point is dead on! An opportunity feels right – from the beginning. Yes, you might be busy and yes you might have to juggle things to find the time but you’re enthusiastic about doing it. You aren’t resenting the time you put in because your soul’s desire is aligned with the opportunity. When we think we’re missing out and do something just because of the fear that it could be a missed opportunity it is a huge struggle both internally and externally. We feel annoyed or angry with ourselves for saying “yes” and possibly even a bit resentful inside. On the outside we struggle to do the extra work required. This is something I’ve had trouble with over the years because I’m a people pleaser! But when I had my three children, I had to say no because I just didn’t have the time. I like what you said about no leading us to true needs and desires. I’ve never considered that it was blocking me when I did things I didn’t want to do! Great, thought-provoking post Angela… once again! I’m so glad you got something out of this post. I felt like you were speaking directly to me on this one. I’m finally getting over my fear of missing out by reminding myself that all those things I’m letting slip through my fingers will be there and happen with or without me. And I ask myself how saying yes or chasing those things will truly benefit me by supporting my core values. Looking at things that way, it’s much easier to say no. “No rest for you until you do A, B and C…” I can totally hear this in my head. I have to remind myself that I’ll probably collapse and not be able to do anything if I don’t stop mid-stream to breathe, practice yoga or take a walk. The visual of tilling the soil and allowing seeds to germinate really helped! Just thinking about it made me relax. Thank you so much for an awesome post!! It’s amazing how we all resonate to the same thoughts, isn’t it? I guess we are all dealing with the same “time crunch” of having too much to do in the same 24 hours we all get. Me too….that A,B & C thing is what I feel when I look at a long to-do list. It freaks me out! That’s why I’m trying not to makes lists…..easier said than done though, when you have a lot of details to keep track of. I want to find a local yoga class…that’s my next thing. I’m so glad you enjoyed the visual about the “germinating” too! Ah, the power of “NO”. Sometimes, I wonder why we go against our gut feelings and say yes when we want to say no. Self-destructive subconscious thought, perhaps. Or maybe the desperate urge to please, or not wanting to make someone feel bad by saying a harsh no. Or being bullied into saying Yes when the answer should have been a firm no. What a wonderful post – I can identify so much with this! I’ve gone through a few “yeses” when it should have been “no” and suffered the consequences :-). I’ve learned the hard way. Great advice here, Angela. I loved it. I think it has to with “trust issues” and self-esteem issues. Somewhere along the line we have been taught that we cannot “trust” our own internal voice. I know for myself – being raised in an environment with a parent with personality disorders turned my siblings and I into “people pleasers.” You had to be this way to keep the peace. I’m slowly outgrowing it though. Of course, I do think when we are compassionate we will say “yes” at times to things we’d rather say “no” to. There is a difference between being a selfish person and having a healthy self esteem. It is a hard lesson to learn but you are so right. I have recently decided to take time for myself every day. And I am even more productive now then before when I felt i couldn’t spare the time. Plus, as you so well point out, frenzy attracts frenzy. Love of yourself attracts more love. Easy choice. I’m so glad you found this helpful. I love how we are thinking about the same principles at the same time! 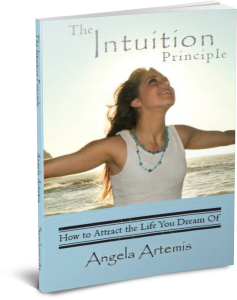 This is such a useful post Angela and is a good reminder to listen to our intuition around our decisions. People pleasing and saying yes too much can be draining and ultimately serves neither you or anyone else. This is something I’ve been working on and I’m much better at listening to and honouring my needs as a result. One question though – how do you deal with people in your life who don’t like you saying no and think you are making the wrong decision(s) when you don’t do certain things? It’s so great to see you here. 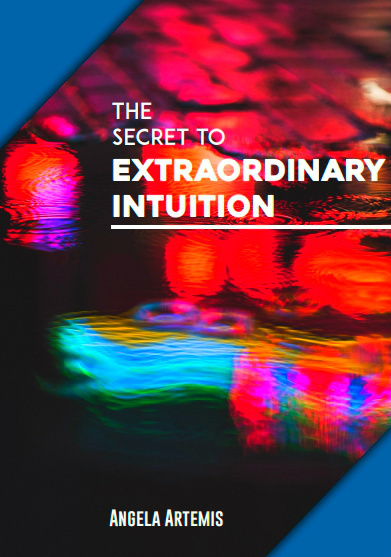 This is where self-esteem and confidence come in and our intuition. What I have learned is that when I tune into my intuition and “know” that I have chosen wisely the people around me who objecting slowly stop objecting. Your energy is so aligned with your soul’s purpose that the people around unconsciously pick this up. Think of your energy like a guitar in a guitar shop. If you walk into the store and pluck the “G”string very strongly all the G strings on the guitars in the shop will begin resonating to this vibration. Truth is powerful and sends out an unmistakeable vibration. When the people who think you were making the wrong decision begin to see that things are working out for you based on this decision they will slowly come around. 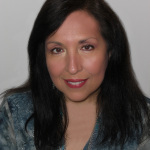 The beauty of living your truth based on “knowing” (intuitive guidance) is that you don’t have to stand up on your soap box and lecture or try to convince the people around you – your life and you successes will speak for themselves. Thanks Angela – that does help and it’s great to be here. 🙂 Some of my relationships seem to be in upheaval because I am saying what I need these days and not just going along with things that don’t work for me. Its not always easy and the people pleaser in me finds it hard but at the same time it has been a period of growth and I feel that on another level, it is a really good thing. Thanks for your help talking this out. I can certainly relate. It is hard to feel that you might be “hurting someone’s feelings” when you’re a people pleaser but, I found that if I keep telling myself that “what other people think of me is none of my business,” it helps. Man Angela you’ve got yet another powerful message here! “Learning that you can let go and say “no” shows that you have grown in confidence, self-esteem and wisdom. So true! I know for me it’s hard to say no to things becuase I’ve such varied interests, but I need to say no in order to give those things the time and attention they need. It’s a challenge prioritizing – but you are sooooo right on! Yes, it can be a challenge prioritizing. I still have this problem. It’s so funny but, I actually have to write a post to know what I think about things. Writing helps me sort things out. I’m trying to be better at prioritizing though…. Saying “no” has not been my strong suit – but I’m getting better bit by bit. Wonderful post. You struck a chord with me on one point in particular ….saying ‘yes’ because I was afraid that I was closing down and missing out on something that I ‘should’ be doing. A lot of that had to do with me not acknowledging that solitude is a large part of my life. That’s right, I forgot what a marvelous gardener you are! LOL, when I wrote that I was really thinking of the Greek myth about how Hades kidnapped Demeter’s daughter, Persephone and they struck a deal that he could have her for certain part of the year and, that’s how we got the seasons of Fall and Winter. I’m so glad you enjoyed it and could relate to it. I too need my solitude. I need to meditate and reflect every day. When I cannot do it I feel very out of sorts. hi it let me think of myself fear to say no.I was a victim of peolpes circumstances why every one was running to me for help. I thougth i was doing the rigth thing but i made a mistake. I was omly good to help them out of their situtations now i am the fool.